Things I Love: Where the bloody hell have I been? Where the bloody hell have I been? I can’t believe it’s been over 4 months since I’ve wrote my last blog entry! 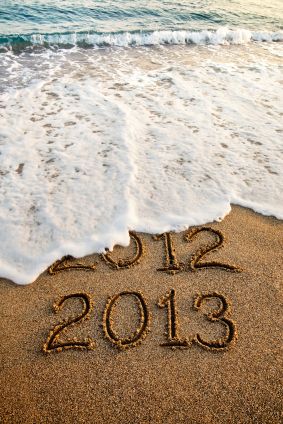 I’ve missed out on the last few months of 2012 and OMG we’ve now passed the midway point of a new month in 2013. As Lara Bingle once famously said - "where the bloody hell are you?" So what exactly happened? I meant to write a bon voyage entry to give my readers some notice of my blogging hiatus for my Europe holiday - 6 weeks of amazing sights and adventure back in mid Sept but work, a bout of the cold and last minute commitments saw me ran out of time to say adieu online before jet setting off to Europe. I had the most amazing time over there and learnt so much, experienced and saw majestic buildings and ate incredible food almost every day. I will one day (as elusive as it sounds), write a blog entry about it with bucket loads of photos from the trip. I then came back home in November last year mentally refreshed but physically fatigued – 6 weeks of non-stop travel and lack of sleep the entire trip really took a toll on my body. Then work commitments took over again and I didn’t get a chance to find my blogging rhythm. When I was finally geared up to re-start blogging again in December, tragedy struck. There was a death in the family and I had to make an emergency trip overseas to help sort out the administrative matters with passing away in a foreign country - making funeral & repatriation arrangements, lodging & following up on insurance claims and other sombre administrative matters. Let me tell you, the past 6 weeks has been so surreal for me, so fraught with emotional extremes, sadness, tears, and untold amounts of stress I don’t even know how I manage to get through each day. Even a brief trip to NSW for new years was did little to distract me of sadness of recent events. And right now, I still have a whole lot to get through dealing with deceased estate administration but I want to blog again. I won’t have much time but I want some sort of normal life back. Whilst I’ve been away from blogging all this time, I missed it. I really do. I miss the ability to share with you my latest beauty purchase from Europe (infact 90% of what I bought overseas I havent' even touched yet). I missed having exchanges on this blog and on twitter. I miss all my blogger friends because they inspired and motivated me with blogging ideas. Because I just dropped out of the online world for a while, I lost that inspiration and energy from the creative sharing of ideas with the blogging community. But I realised blogging is my sanity in this insane period of my life. It is one of the few things that is familiar and comforting but also time consuming to write detailed posts. I will not be able to blog as frequently for a while. I hope my sporadic updates will still entertain and inform you and you will continue to visit this blog. I certainly haven’t given up on blogging, and I hope you don’t give up on me either. I’ll be pre-emptive and thank you in advance for your love and support. Hopefully it won’t be too long before my next entry. welcome back sweetheart, missed you. Take as much time as you need...I look forward to emails of you posts once again popping into my inbox! Thank you everyone for your kind comments - makes me feel less alone in all this. I am coping much much better these days and hope that it improves as finish off.